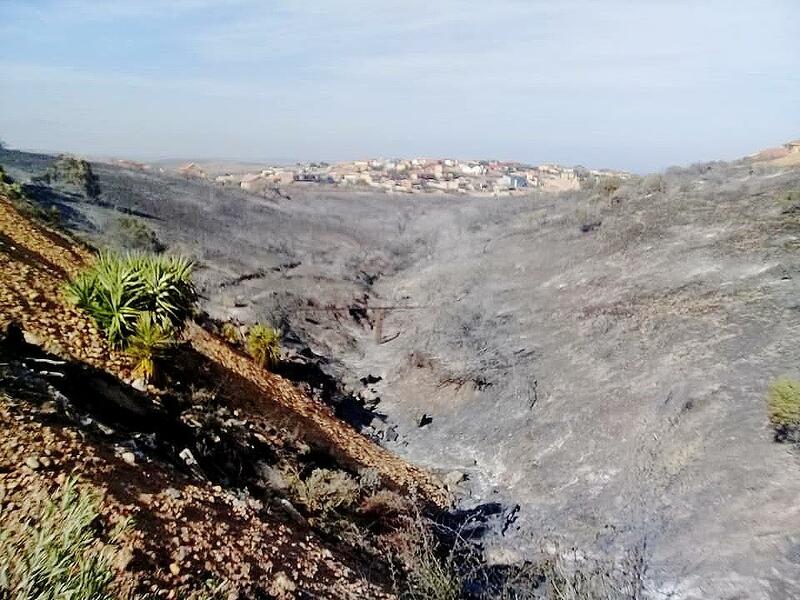 MOSSEL BAY NEWS - It took the Mossel Bay Fire and Disaster Management team less than five hours to contain the runaway vegetation fire in the Hartenbos Heuwels area on Monday, 21 January. Considering that this feat was achieved by merely 30 professional firefighters it is even more remarkable. Firefighters of Mossel Bay Municipality were assisted by a crew from the George Municipality and airsupport from Working on Fire. In addition, they were able to count on the willing support of the members of the neighbourhood watch as well as residents who pitched in to help save property and pets. Mossel Bay's firefighters had the support of nine water carrying vehicles, a rescue vehicle, two service vehicles. This total excludes the three senior officers who used their private vehicles to respond to the fires. The aerial support included a spotter aeroplane, a Huey helicopter (1 000 liters of water per drop) and a bomber helicopter, able to drop 3 000 liters at a time. These aircraft were supplied by Working on Fire. The air support function was at the later stage of the firefighting operations taken over by the Garden Route District Municipality. Also included in the aerial attack on the fire was Kobus Crous of Mossel Bay Helicopters who used his Robin helicopter to drop 500 liters of water at a time. The help of local business OSS, Henra and Transand that made their water tankers available meant that the fire engines did not have to leave the active fire to tank up with water. This resulted that not much water had to be taken in from the municipal water supply. In addition, the water pressure to the area was boosted to allow residents to use their hosepipes to dampen their properties. The municipal manager, Adv Thys Giliomee thanked the numerous people and businesses, some from as far afield as Boggomsbaai who opened their hearts to the firefighters by donating fresh water, cold drinks, and refreshments. "Again the support of the public was overwhelming." In total, 129 hectares of vegetation and two homes were totally destroyed, yet there is no official count of homes damaged to a lesser extent by the fire. Several reports of broken windows, severed gutters, and other minor damage were received. One resident in Neels Street, Willie van Biljon suffered a loss of several hundred thousand Rand of equipment and material at a home where he is building. He was on an aircraft approaching Mossel Bay and his wife was at the airport to fetch him when the news of the devastating fire reached them. The Garden Route SPCA in Mossel Bay managed to rescue 32 pets, one of which was a cat. Several domestic and wild animals and pet birds were removed from the Hartenbos Animal Clinic as a precautionary measure, all of which were returned on Tuesday.